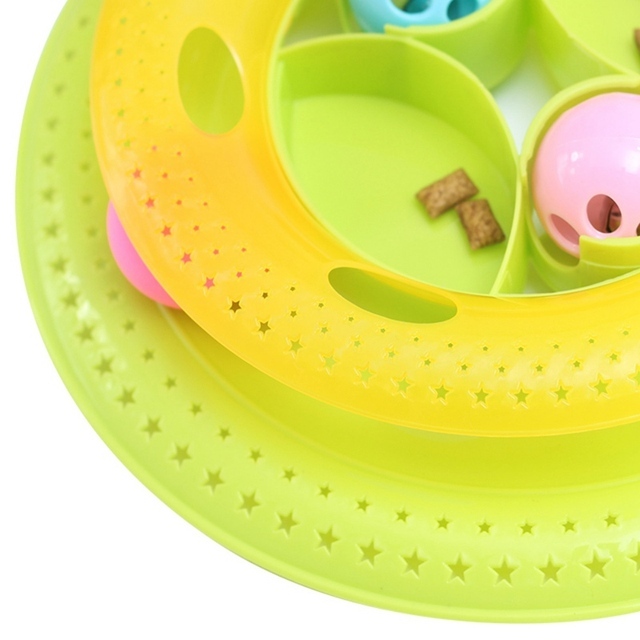 *ENVIRONMENTAL MATERIAL—-Made of environmental PP plastic material, safe and non-toxic. 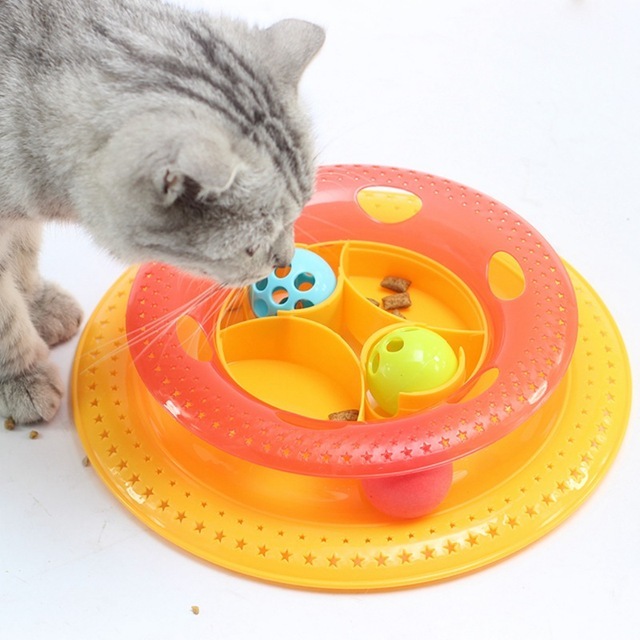 *MULTI-LEVEL TRACKS—-Keeps your cat entertained and playing. Suitable for one or more cats. 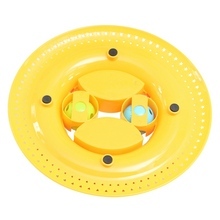 *BELLS BALL—-Built-in 1 ball and 2 crystal bells ball, dial the built-in bells bowls, the sound made the cat play more interesting. 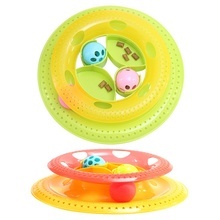 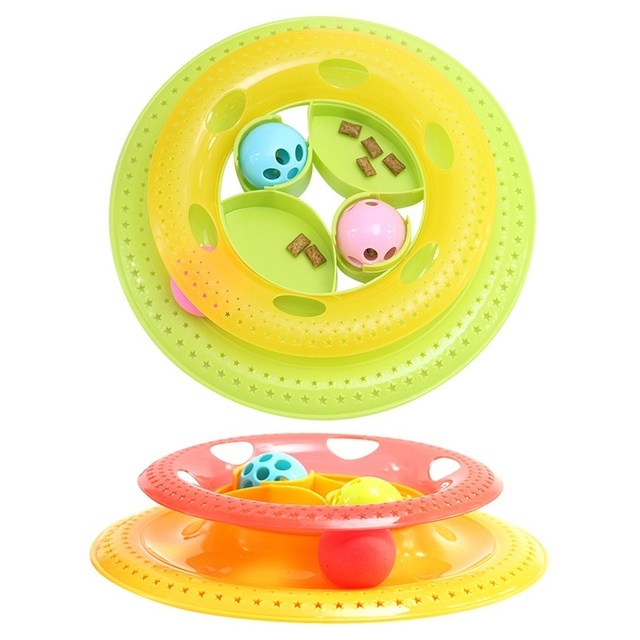 *TOP DESIGN—-You can put the food on the top of the toy, the cat can play while eating. 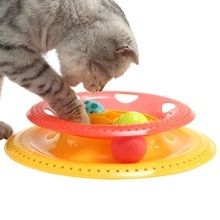 *BOTTOM ANTI-SLIP DESIGN—-Ensure that cat toys will not slip. 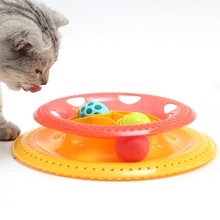 *ACTIVE LIFESTYLE—-Funny turntable, your cat is not alone at home. Keep your cat happy.